Early in The Fall of Heaven: The Pahlavis and the Final Days of Imperial Iran (Henry Holt and Co.), Andrew Scott Cooper sums up the suspicions that informed Iranian culture in the years before the 1979 Islamic Revolution. “For a people who prided themselves on their knowledge of science, philosophy, and literature, Persians saw their world as one shaped by elaborate conspiracies that allowed them to shift the blame for their own mistakes and misfortunes onto the shoulders of others,” Cooper writes. The events Cooper describes leading up to the 1979 Islamic Revolution do nothing to dispel the country’s perception of itself as a pawn of superpowers and extremists. Mohammad Reza Shah’s succession to the throne, in 1941, replacing his father, Reza Shah (who changed the country’s name from Persia to Iran), was engineered by England and Russia. In 1953, Prime Minister Mohammad Mossadeq, who was threatening the Shah’s power, was ousted with CIA assistance in Operation Ajax. In 1963, the Shah’s White Revolution, a referendum on social and land reforms overwhelmingly supported by the populace, was nearly scuttled by a small extremist religious faction. As it happens, this faction was led by a relatively junior member of the ulama, one Ayatollah Khomeini, who in time would become the prime mover in Iran’s 1979 revolution. The Fall of Heaven opens in December 1977, just as the unrest in Iran begins making international headlines. 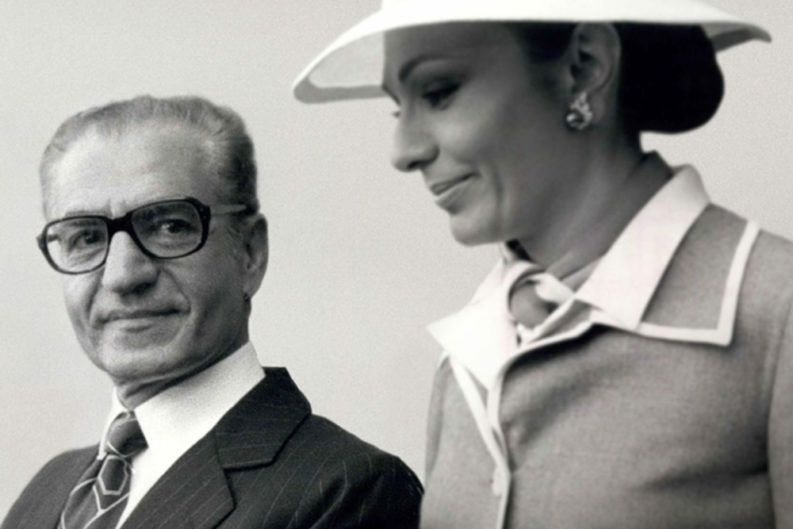 The deeply researched scope of Cooper’s account, however, includes all of the Shah’s 37-year reign, from 1941 to Jan. 16, 1979, when the Shah and Queen Farah depart Iran, never to return. Moreover, the book is positioned as a rehabilitation of the Shah and his reign, dispelling such misrepresentations of the Shah “as a blood-soaked tyrant while she, the Queen, had whiled away her time bathing in milk.” Cooper largely succeeds, carefully identifying the Shah’s educational, infrastructural, social, and financial successes for the country, as well as debunking claims of undue cruelty. He also, perhaps inadvertently, reveals an accumulation of odd improbabilities that play a prominent role in the Shah’s downfall. For example, the Shah himself, is described as isolated, disconnected from his people, impervious to criticism (“I not only make the decisions, I do the thinking”), and surrounded largely by sycophants. And yet this same autocrat is indecisive and fearful, “a lamb in lion’s clothing,” with a weird and arguably fatal aspiration (shared with the Queen) to European stylings. The dress, celebrations, architecture, and art appreciation (Queen Farah had an Andy Warhol painting of herself)—all were manifestly non-Iranian. Equally improbable in Cooper’s account is the U.S. relationship with its most strategically important Middle East partner. First, the U.S. had virtually no intelligence operation in Iran, having agreed to forgo in-country intelligence gathering in exchange for Iran-based Soviet listening posts. Second, U.S. intelligence made little attempt to understand Khomeini’s intentions, most tellingly in the failure to translate his political treatise Islamic Government (published in 1970) until March 1979, literally days before an Islamic Republic was declared. And third, the choice of U.S. Ambassador Bill Sullivan, a notoriously tactless veteran of posts in the Philippines and Laos, who arrived in late 1977. Early in his Iran tenure, Sullivan is reported to have inquired of the Queen’s cultural advisor’s wife, “I wonder when we’re going to have a revolution in Iran?” Later, he would cross swords with—and operate independently of—the White House, becoming overly influenced by powerless moderate revolutionary elements (e.g., the National Front) and underestimating the fundamentalist Islamic threat. One can only speculate that, had these two nations made more effort to be culturally informed about Iran and its people, the ultimate outcome might have been avoided. Although that might only have allowed for yet another elaborate conspiracy.